Saudi Arabia is backpedaling on austerity for the second time in less than a year. Analysts say the government is trying to ease the pain of recent tax hikes and subsidy cuts for Saudis to avoid a backlash that could threaten its plans to overhaul the economy. Less than a week after the government introduced a new 5% sales tax on most goods, and more than doubled gas prices, King Salman issued a royal order to "ease burdens on citizens." At a cost of about 50 billion riyals ($13 billion), the government announced an annual bonus for all state employees, and a monthly allowance of 1,000 riyals ($266) for government employees for a year. There was also a 10% stipend increase for students, a bonus for soldiers and a tax break for first-time home buyers. "The stimulus, which is equivalent to around 2% of GDP, will support economic growth in the near term but it's a worrying sign that the Saudi authorities are backtracking on their commitment to economic reform," Capital Economics said in a research note on Monday. The research firm said the Saudi government may have been unsettled by recent protests in Iran. "Policymakers may also be fearful of spillovers from the recent unrest in Iran, which has been largely centered on economic issues," it added. At least 21 people were killed in about six days of protests across Iran that began last month. The protests were triggered by anger at rising prices, high youth unemployment, and plans for more austerity even while the religious establishment is protected from cuts. Many Saudis used social media to express their frustration over the prices rises that took effect at the start of 2018. Gas prices had been expected to increase, but not by as much as they did. The hashtag "salaries are not enough" in Arabic was trending on Twitter in the kingdom following the changes. "The response of Saudi citizens was very very negative," said Khalid Ashaerah, a business consultant in Riyadh. 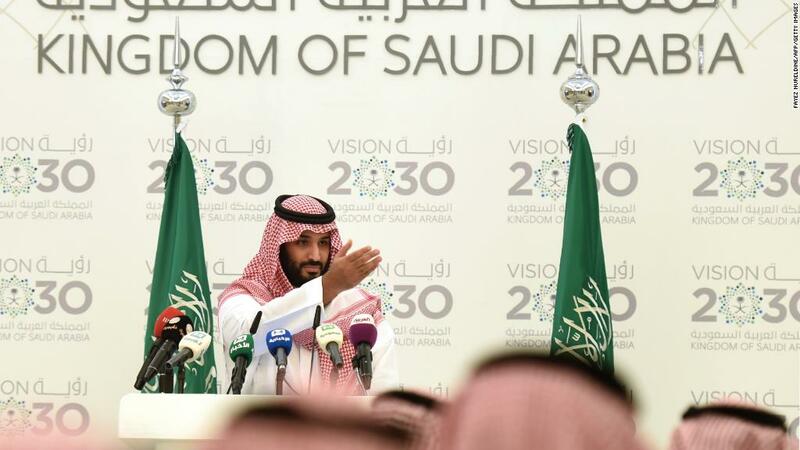 He blamed the discontent on several reasons, including "the weakness of local media" in raising awareness about the government's plans, the additional strain on indebted Saudis, the squeeze on purchasing power and higher costs for business owners. "That's why the government had to be very flexible in its response and ease the pain on the citizens," he added. The discontent was reflected among the ranks of the royal family, too. Eleven Saudi princes were arrested last week after protesting against a recent royal order that "halted payments by the state to members of the royal family to cover their electricity and water utility bills." For decades, the majority of Saudis enjoyed generous handouts and comfortable government jobs. Almost 70% of Saudi nationals -- more than 3 million -- hold jobs in the public sector, according to McKinsey. The cushy positions are highly coveted because they offer ironclad job security and lucrative salaries. But Saudi Arabia is now trying to diversify its economy, reduce the dependency on oil and boost private sector employment. Driven by weak oil prices, it launched Vision 2030, a blueprint for what the economy should look like over the next decade. As part of its vision, the government set out a target to balance its budget by 2020. That target has now been pushed back to 2023 as it proceeds more cautiously with cuts, helped by a recovery in oil prices. In April last year, King Salman rolled back wage and benefit cuts imposed on top government officials and other public workers. They had been cut only six months earlier.